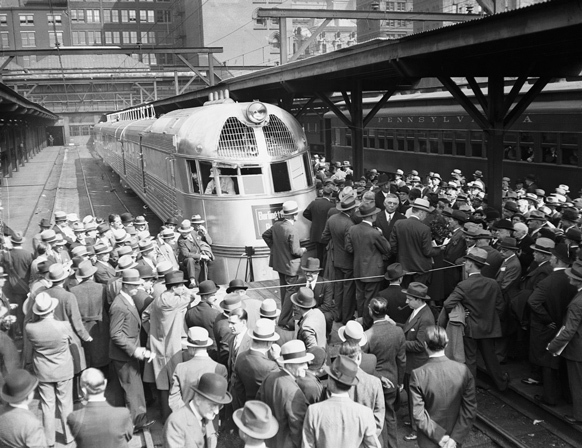 "The train could reach speeds of 117 mph, faster than most passenger trains today. It was constructed of shot-welded stainless steel, so it's lightweight, and it doesn't rust." The gutted train, with its broken windows and peeling paint, looks as if it should be sitting in a junkyard, but Roger Verbeeren Jr. knows its potential. 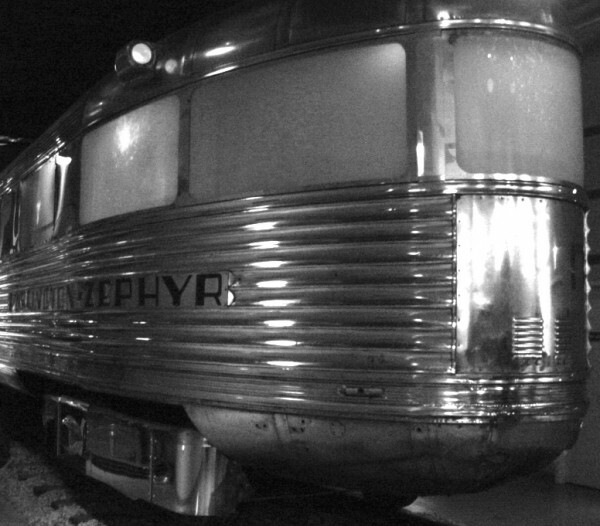 For nearly three years, Verbeeren, who is president of Gateway Rail Services in Madison, has been trying to drum up interest in the Mark Twain Zephyr. 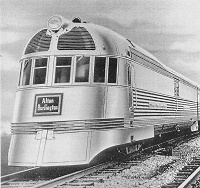 Completed in 1935, the train featured some of the earliest streamlined passenger rail cars. 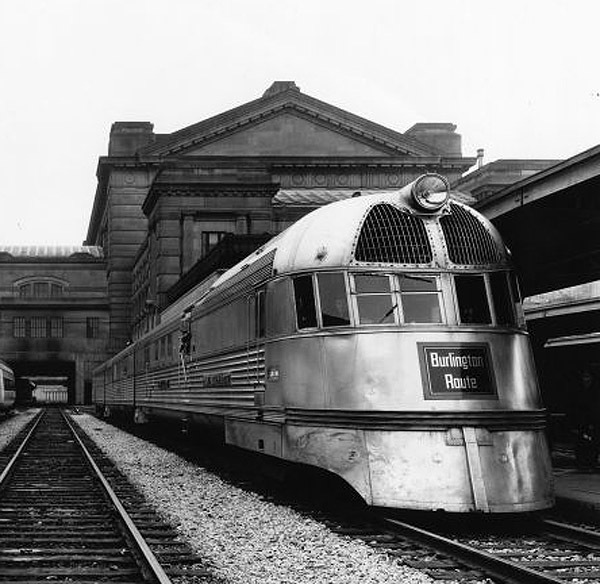 The train could reach speeds of 117 mph, faster than most passenger trains today. It was constructed of shot-welded stainless steel, so it's lightweight, and it doesn't rust. Passengers enjoyed mechanical air conditioning, unheard of at the time, and it used head-end power, meaning it didn't rely on batteries. "For its time, it was way ahead of itself, and that's what really is historically significant about this piece," Verbeeren said. 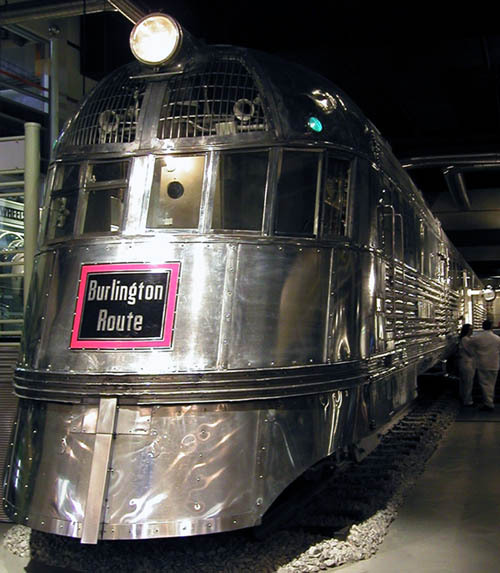 The train was built for the Chicago, Burlington and Quincy Railroad and was designed for regular service between St. Louis and Burlington, Iowa. The train's name came courtesy of one of the stops — Hannibal, Mo., home of Mark Twain. In fact, the year the route began was the 100th anniversary of Twain's birth. 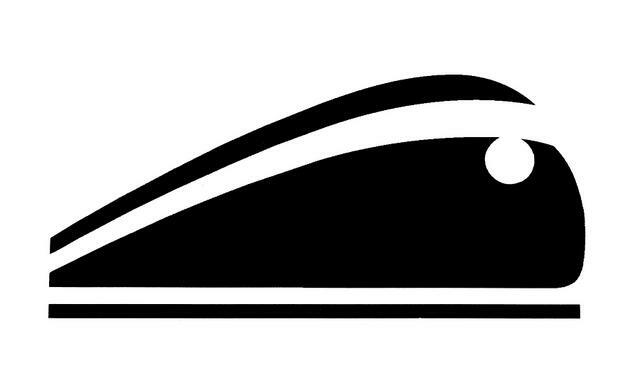 The train had four cars, each named for a well-known character in one of Twain's books. 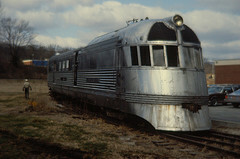 Injun Joe contained the power unit and mail car; Becky Thatcher was the baggage car; Huckleberry Finn was the kitchen and dining car; Tom Sawyer was a passenger car with a rear observation lounge. "It's too neat of a piece of history to go to the crusher," Verbeeren said. While many agree with Verbeeren, fixing up the train would bust most budgets. Verbeeren estimates a cosmetic renovation alone would be in the neighborhood of $4.5 million. Verbeeren, whose company specializes in restoring and repairing rail cars, has had the train since January 2008. 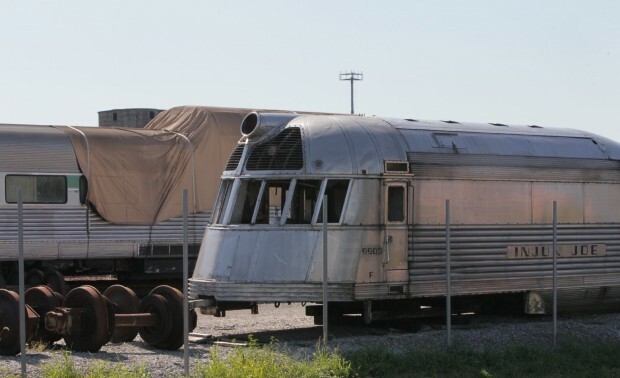 The former owner, one of a long succession since the train was retired in 1960, had been planning to renovate it, Verbeeren said, and asked his company to move it from a facility near Joliet, Ill. When the workers got there, the train was sitting in two to four feet of water. "So we went and picked this thing out of the mud, moved it all here and when it was time to pay the bill, guess what? No money," Verbeeren said. Verbeeren said it's unclear who owns the train, because the former owner can't be reached. A buyer would have to go through a detailed owner history search. Verbeeren said his first priority is getting back the $88,000 to move the train, but he's hoping his company would get any renovation work from a new owner. So far, several groups have expressed interest. Folks with Burlington Northern Santa Fe Railroad came by eight months ago and did some tire-kicking, he said, and a couple of other businessmen looked it over. The most promising look, though, came from officials with the Hannibal Convention and Visitors Bureau. Beau Hicks, executive director of tourism, said the train would be perfect for Hannibal, which has a rich railroad history. Hicks said the bureau has pictures of then-Sen. Harry S Truman "with the vice president and Mark Twain's granddaughter, standing on the train in Hannibal," he said. After he and others went to look at the train last spring, Hicks said he got more than 100 favorable phone calls and postcards. One was from a 93-year-old volunteer at the visitors bureau, who could remember riding the train as a girl. "We had a line going out the door of my office for about a week of people who thought it was a good idea," he said. "The problem really is just funding to get it here and to make it what we would want, which is a static museum." Hicks said the city probably would only rehab two of the four cars, sealing the others up, so he thinks it would cost considerably less than Verbeeren's estimate. Hannibal may even use it as part of a new visitor center. 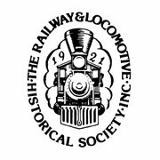 "If anyone out there has a love of trains and wants to see it saved, we would be a logical partner," he said. "We just need someone to step out onto the water with us." In the meantime, the shell of the Mark Twain Zephyr sits on flat cars in Verbeeren's fenced-in lot. "It's like a lot of the rest of the stuff we have," he said. "You have to use a little visualization to see what it could be."